Called to Grace is a collection of 15 original songs of youth worship and praise. You’ll find a variety of styles of music designed for youth-led worship, Sunday school openings, youth choirs, and youth groups. The songs were originally written for a summer Bible camp program, so they are a lot of fun, easy to learn, and lend themselves to lots of actions. A liturgical worship setting is also available that includes five of songs designed for youth-led worship. 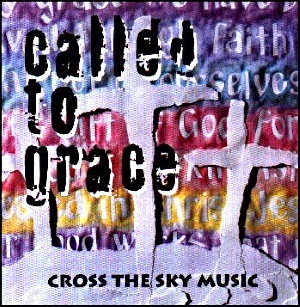 We hope you enjoy this collection of music about God’s awesome love and amazing grace! A song about God’s love experienced in the persons of the Trinity; the Father, Son and Holy Spirit. Youthful and upbeat, this song is a nice translation of John 3:16 in a fun style that kids love.